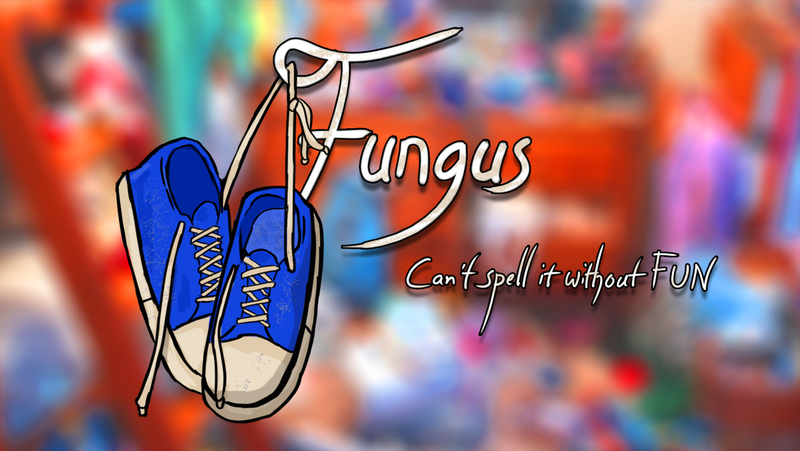 Fungus: Can't Spell It Without Fun is a multiplayer rhythm game about bacteria competing to infect the most cells. One player controls Fun, a positive bacteria dancing to make cells happy, while the other player controls Gus, working to share his depressive mood. Players infect cells by successfully completing a rhythm game. The players can infect neutral cells, or convert enemy cells, which is harder to accomplish. The game has three distinct phases: in the first phase, players navigate a scripted battlefield; in the second phase, new cells spawn to mix things up; and in the third and final phase, the neutral cells disappear, forcing players to attack enemy cells. Once the timer runs out, the score and the winner are revealed. P.S. - This is a serious game based on special scientific research.